Brother you're in! Welcome to the boa club. Awesome !!! Handsome little fellow. Looks like a wonderful little boa. Love it! I miss Lucy. She was such a good girl. WOW! Smoker for sure! Congrats on the pickup, such an absolutely beautiful animal. Prime prime example. 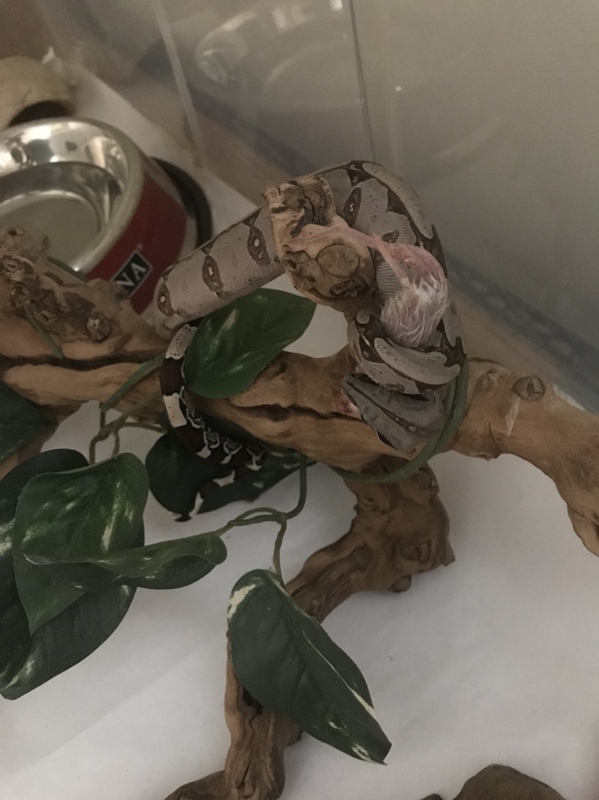 Boas are so much fun, you're going to love it. Any ideas for a name? love love. So awesome !!! that tail already looks amazing and it’s just going to get better !!! I looked at this post and said to myself,,, maybe just one more LOL! Little man just took his first meal here, F/T fuzzy mouse. I wanted to use an expletive in front of. ,,,,, he looks smoking.